What Does The Best Bond Cleaning In Dutton Park Cover? Finding and selecting reliable house cleaning in Dutton Park is not easy. The most common questions we get asked by people like yourself have been collated below to assist you in making a smart decision. 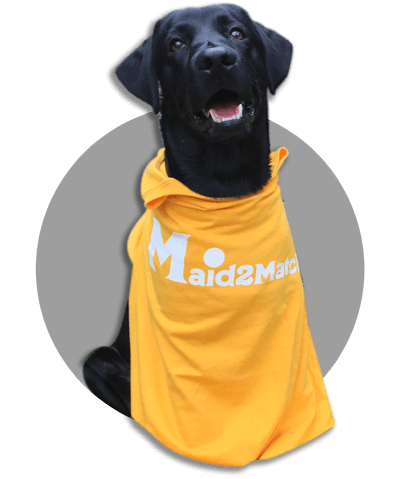 WHY ARE MAID2MATCH DUTTON PARK’S BEST AT VACATE CLEANING? The truth is great bond cleaners possess a different skill set than regular house cleaners and therefore requires specific experience, dedication, and a first-class cleaning checklist. At Maid2Match, we personally vet all our cleaners, after having them complete a three-part application form. We provide extensive support and have crafted the most effective bond cleaning checklist you’ll find. Look no further than our experienced and insured experts for your bond cleaning in Brisbane. One of the most prominent suburbs of Brisbane, Dutton Park is situated approximately 4 kilometres away from Brisbane CBD. This is a residential suburb, that’s mostly quiet, although there are a few industrial zones, as well as commercial spots. However, this suburb developed slowly because of the rugged terrain it’s set on. Apart from that, H.C. Rawnsley surveyed Dutton Park to become a government reserve. The recreation reserve was built at the end of the 19th century by the Minister of Lands, Charles Dutton, after whom this suburb is named. The most important attraction here is Dutton Park thanks to its huge recreation space. Also well known is the the South Brisbane Cemetery due to it being the oldest cemetery in Brisbane. As a result it’s part of the Queensland Heritage Register and has many war graves. A lovely and popular attraction for those of us who like to keep active is the walk along the scenic T. J. Doyle Memorial Drive. You can also visit the Boggo Road Gaol, which is currently a history museum. The Eleanor Schonell Bridge offers a wonderful vista of the Brisbane River, which has plenty of perfect picnic spots along its banks. The Ecosciences Precinct is another place of note if you’re interested in research facilities.